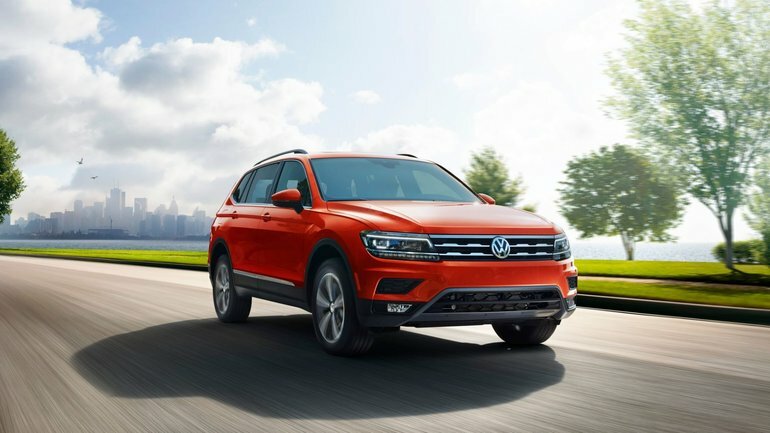 As the automotive industry is taken over by stylish and practical CUVs and SUVs, Volkswagen has entered the highly competitive segment with an updated version of their already popular Tiguan model. The 2018 Volkswagen Tiguan sports an updated exterior look, as well as some upgraded interior features you’ll definitely want to check out. We’ve put together the top things you need to know about the 2018 Volkswagen Tiguan. The 2018 Volkswagen Tiguan is proof that the German engineers and designers at Volks took some serious time in redesigning the exterior look, as well as updating the interior. From the outside, it’s immediately evident that the 2018 Tiguan is much more grown up with a modern flare and look to it. Step inside, and that modern feel remains as does soft-touch materials and an overall luxurious feel that would suggest the Tiguan sports a much higher price tag than it actually does. You’ll find the same 2.0L turbocharged 4-cylinder in the 2018 Volkswagen Tiguan as the previous generation, however, for this generation German engineers made a few tweaks in an effort to make the engine much more efficient. So, that means the 2.0L in the 2018 VW Tiguan now produces 184 horsepower and 221 lb-ft of torque (less powerful than the previous generation, but more torque). Thanks to those tiny tweaks, the Tiguan is more fuel-efficient than it was before with a combined rating of 10.2L/100km. Fort he 2018 model year, Volkswagen stretched the length of the Tiguan by nearly 11” over the previous generation. What does that mean? Well, it means there’s quite a bit more interior room to play with, so why not outfit a third row in there for ultimate practicality? If it’s the front-wheel drive version you want, then that third bench comes standard. However, if it’s the 4MOTION AWD model you’re after, you can add on the third row, as well. To find out more about the all-new 2018 Volkswagen Tiguan, head down to your local Turner Volkswagen dealer to speak to one of our experts, and don’t forget to book a test drive, too.